The CAPA Airports Construction Database forecasts that by 2020 more than $500 billion will be invested into airport construction and $200 billion allocated toward nearly 400 new airports. Raghu Seelamonthula, Director – Products & Solutions for Airport Systems at Honeywell Airports Business, covers the company’s aim to build its projects pipeline and scout for the right projects to deliver value for airports. What trends are you seeing in the airfield lighting arena? Airfield lighting has continuously evolved with the technology landscape and meeting modern-day airport requirements. We’re seeing increased implementation of efficient LED-based airfield lighting in place of incandescent lighting. We’re also seeing a shift from vault-centric architecture to more light-centric architecture, where a fixture controls lighting’s intensity level after intensity information is conveyed to it. Also, as aircrafts are increasingly equipped with enhanced all-weather operations vision systems, LED airfield lighting is complementing these with infrared energy radiating capabilities to enable safe conduct of air and ground operations in conditions with low or no visibility. Due to LED lighting’s lower power consumption, companies are also exploring new wireless or contactless power concepts that minimise installation and maintenance challenges. Furthermore, we’re increasingly seeing lighting with built-in intelligence which enables it to retrieve data and predict performance, enabling more preventive maintenance. How important is a proficient lighting system in improving airport operations? With the advent of concepts such as ‘Follow the Greens’ (FtG) which involves the use of taxiway centre lights to provide navigation for flight crews, airfield lighting is increasingly becoming both a safety and capacity enabler. 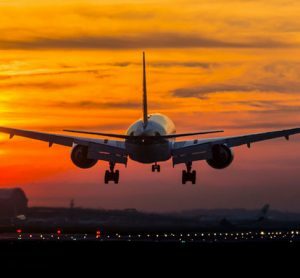 With FtG, airports globally have witnessed significant runway throughput improvements and the systems also expedite traffic movement and help reduce runway incursions. How difficult is it to ensure new lighting technology complies with various regulatory standards? LEDs have gradually proven themselves but as the technology has matured and with newer developments such as high-powered LEDs, applications have extended to runway and approach lights. New technologies are evolving through the maturity curve to meet the stringent requirements of operational performance, availability, reliability and maintainability required by various regulatory standards. Please provide an overview of the lighting project at Singapore Changi International Airport? 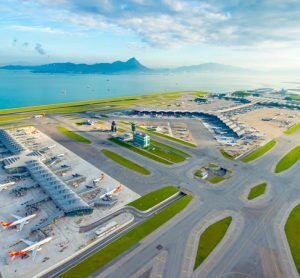 Honeywell’s multi-year project at Changi Airport includes the design, implementation and maintenance of a comprehensive airfield ground lighting control and monitoring system. The project is part of expansion efforts, including the development of a three-runway system. The Honeywell system will be crucial in helping Changi Airport safely and efficiently accommodate the expected aircraft traffic increases. The new system includes Honeywell’s advanced individual lamp control and monitoring system for streamlining maintenance operations with real-time information on approach and runway lighting lamp failures, including the precise location of where issues occur to facilitate fast response and repair. It will also integrate with the airport’s runway and taxiway network infrastructure and interface with multiple external systems and cover the airport’s master plan development, including future Terminal 5 apron and taxiway networks. The project will also include the deployment of an independent fiber optic network and a network management system complying with security policies, including IS0–27001. Honeywell will provide a continuous lifecycle approach to address cyber security requirements for airports, including the support for cyber security requirements across design, implementation, operation and maintenance. 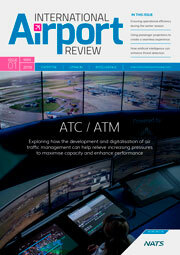 What is revolutionary about Honeywell’s Airfield Lighting Control and Monitoring System (ALCMS)? Honeywell Airport Systems has developed a unique computerised control and monitoring system that facilitates efficient operation and monitoring and also addresses safety requirements. What makes the ALCMS unique is its system design and architecture, featuring a scalable, object-oriented architecture and an event-driven distributed control system offering high resilience, reliability and availability. The ALCMS is self-maintainable and designed to future-proof airport investments in a high-performance system, offering convenient workstations for tower and technical personnel, and a series of practical functions to facilitate daily operational processes and optimise system maintenance activities. Raghu Seelamonthula received a BS in Computer Science & Engineering from Osmania University and an MBA from Sri Satya Sai University. 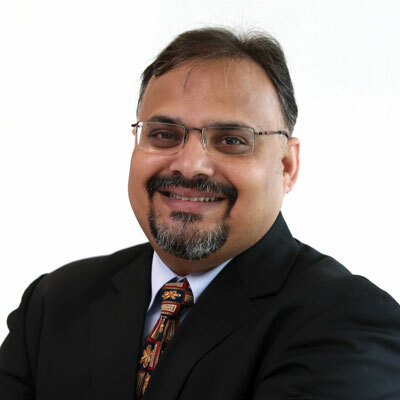 He has been in the industry for 20 years and is a global advocate and subject matter expert for airport integration technology and the benefits it can provide to airports, airlines, air navigation service providers, communities, and the flying public. 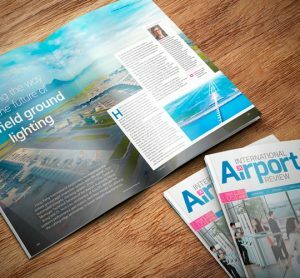 The importance of Airport Lighting System is well explained in the article. Over years, Installation of runway lights has increased and now it has become a necessity for the safe landing of aircraft during bad weather and night time. Flight Light is manufacturing approach lighting system or runway lights since 1993 and supplying the same worldwide. We are a globally known name for the same industry and providing their services to commercial, private and military clients since years.